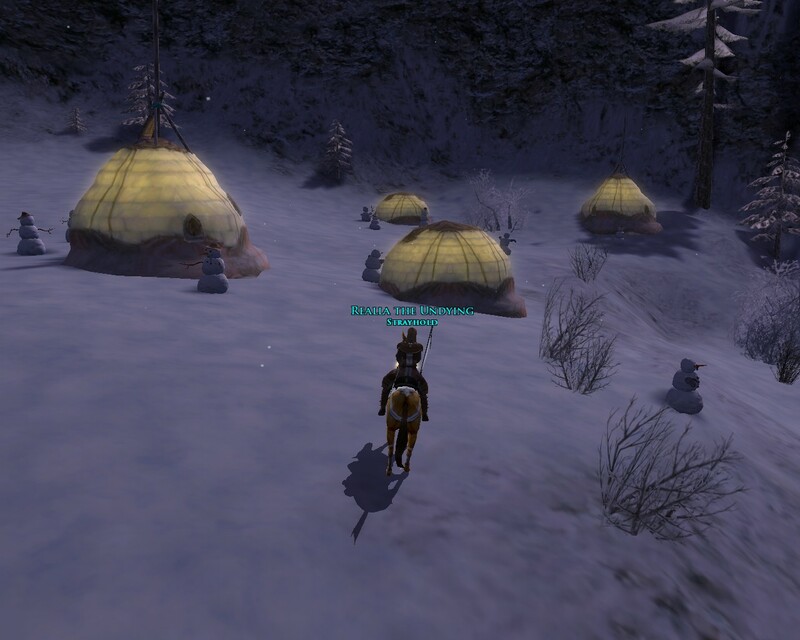 New picture from Dunland area in Tal Methredas, this one is awesome cos the first time you enter this area there is a snowman village. Yes you read correctly, SNOWMAN VILLAGE!!!! They don't move, but it looks just like Mr and Mrs Snowman living in their snowhouse and having the time of their snowy lives.